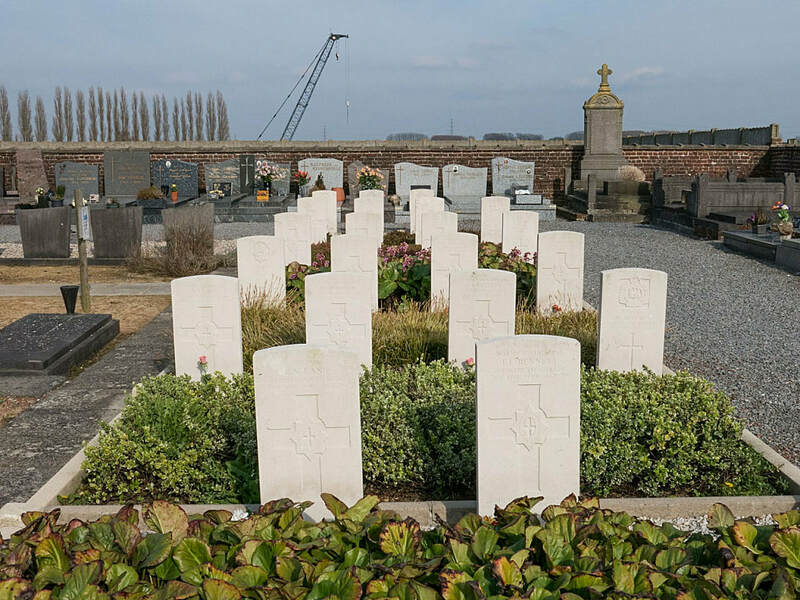 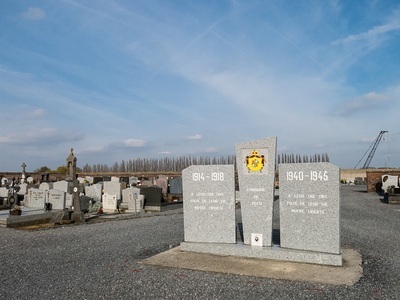 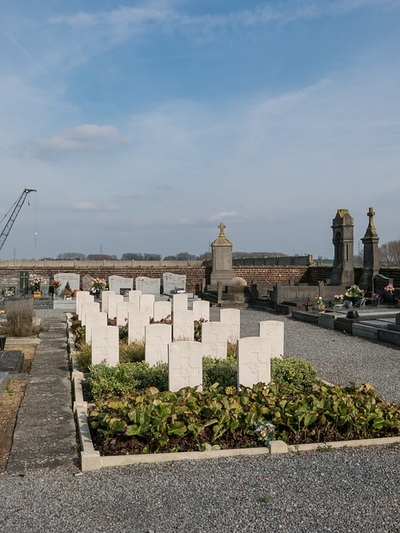 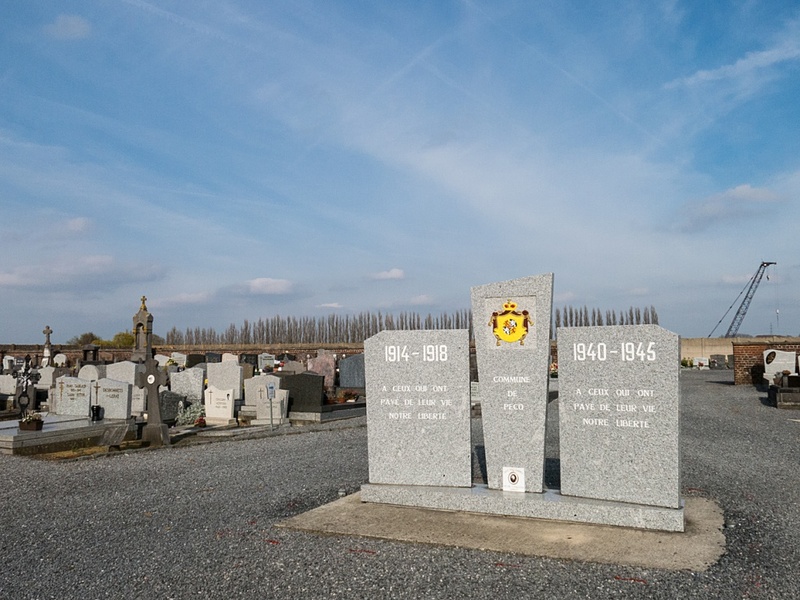 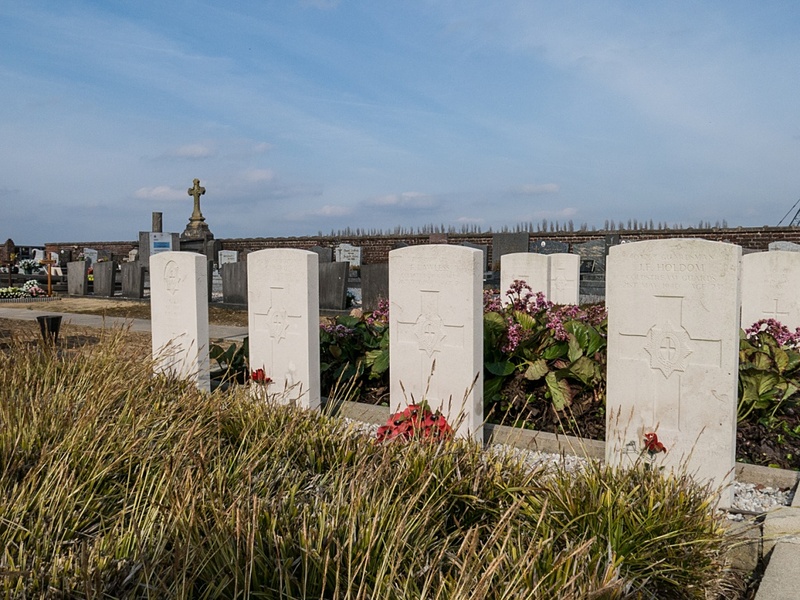 Pecq Communal Cemetery is located 10 kilometres north of Tournai on the N 50, Rue De Courtrai, a road connecting Tournai to Kortrijk (Courtrai). The N50 passes directly through the village of Pecq. 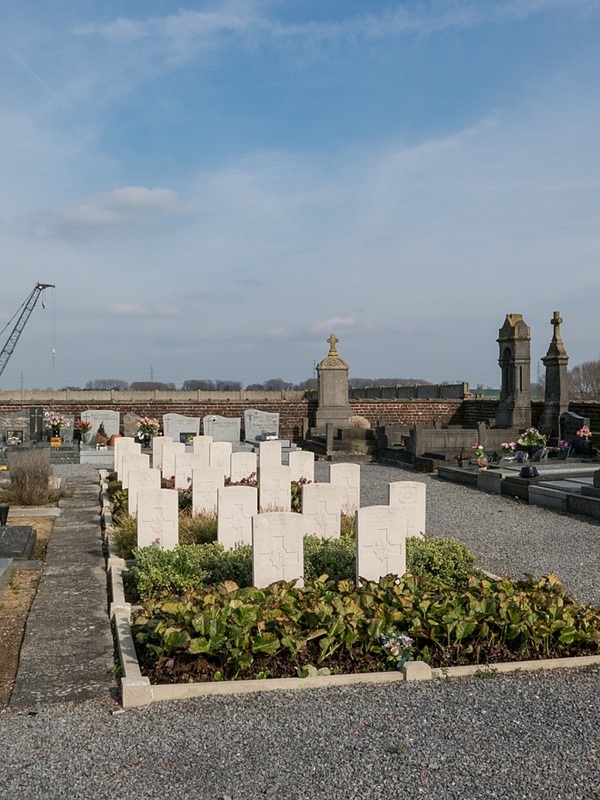 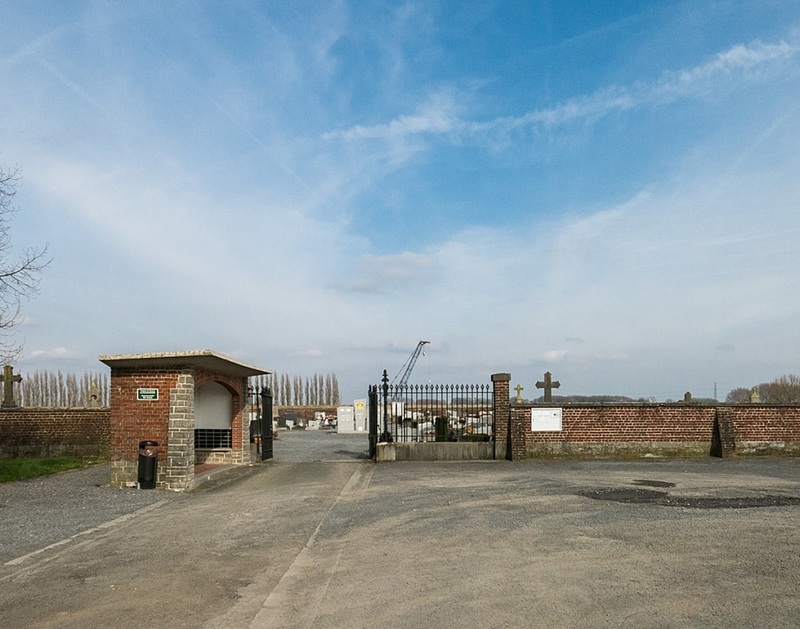 The cemetery is located 800 metres from the village square on the right hand side of the road, when travelling towards Kortrijk. The graves are to be found in Row F, Graves 2 and 3. 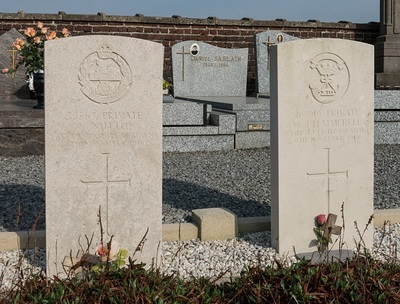 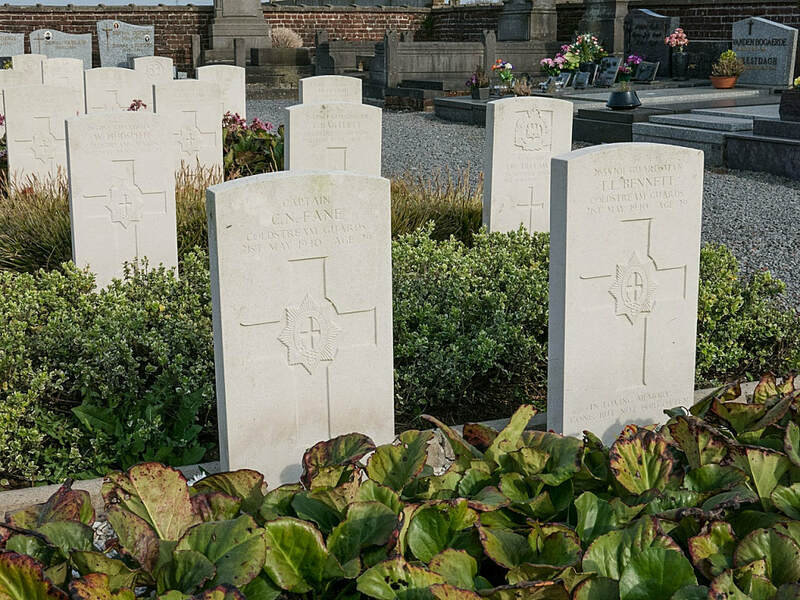 Pecq Communal Cemetery contains 19 burials of the Second World War, two of them unidentified. 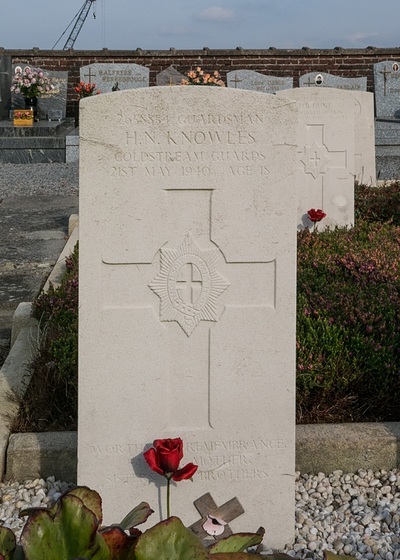 There are also two First World War burials. 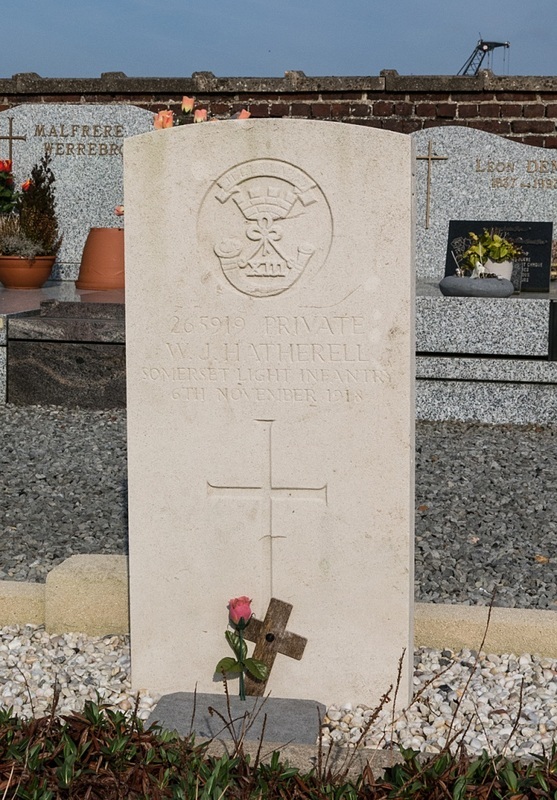 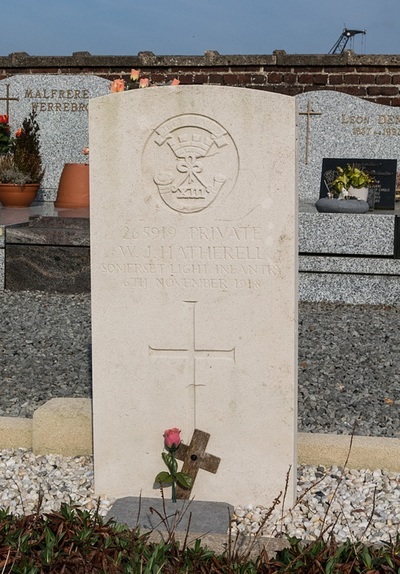 265919 William James Hatherell, 11th Bn. 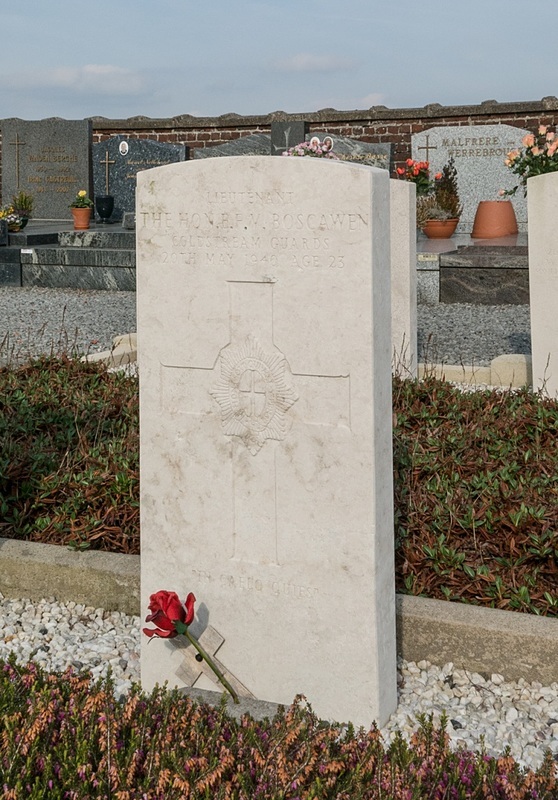 Somerset Light Infantry, died 6th November 1918, aged 39. 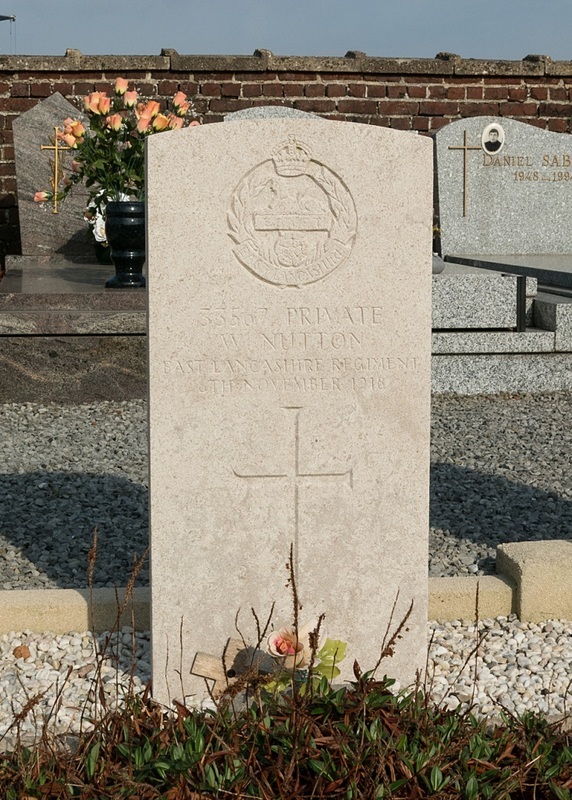 33567 William Nutton, 13th Bn. East Lancashire regiment, died 6th November 1918.